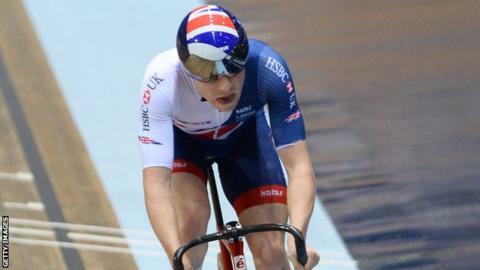 Dundee’s Mark Stewart won two silver medals on the opening night of the UCI Track Cycling World Cup season in Saint-Quentin-en-Yvelines. The Scot, who won Commonwealth Games gold in the points race this year, was this time edged into second by Germany’s Moritz Malcharek. And the 23-year-old teamed up with Ed Clancy, Steven Burke, Kian Emadi and Ollie Wood to win pursuit silver. The Great Britain team were beaten by Denmark in the final.